Yes, many of us have experienced workouts where we felt like we were going to vomit. However, that’s no reason to push your body beyond its limits. Listen to your body. Enjoy exercise! There is nothing wrong with using butter sparingly. 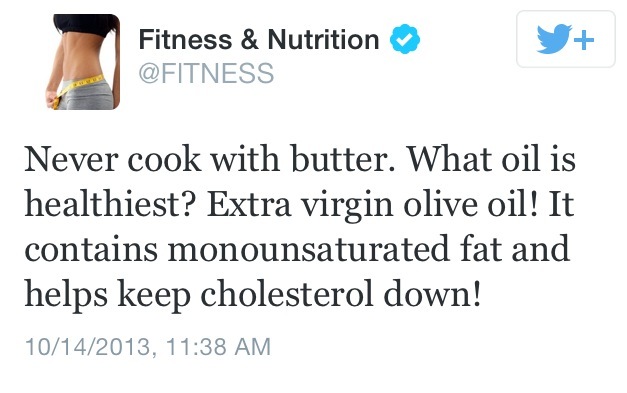 Yes, extra virgin olive oil is a healthy choice. However, at high temperatures it breaks down, making it less healthy for us. Also, consuming too much of any type of fat (or food) ignores one of the most important edicts of a healthy diet: variety. 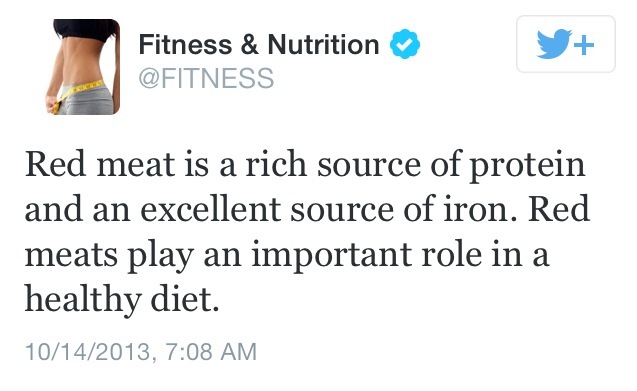 Again, red meat can be a part of a healthy diet. But… It doesn’t have to be. We should consume a variety of sources of protein and red meat is wholly unnecessary. Common myth. Previously written about here. 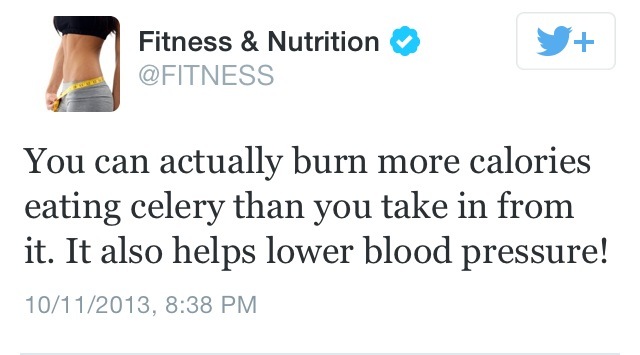 Tags: butter, celery, exercise, fitness, misinformation, myths, nutrition, olive oil, red meat, running | Permalink. 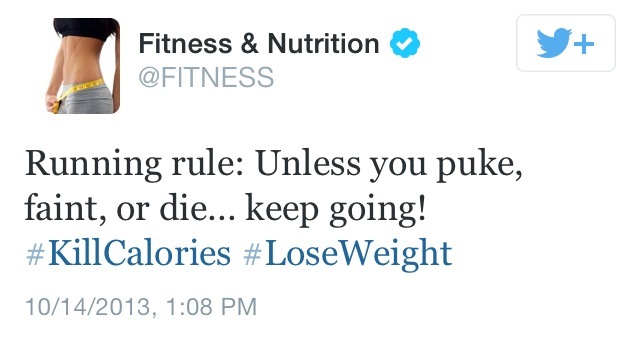 I used to follow this account but when I saw that “run till you puke and die” tweet I was surprised by how offended I was and unfollowed immediately! How did they even get a little blue check? It’s a pity because they have some good advice on there interspersed with terrible tips. No wonder people are so confused!